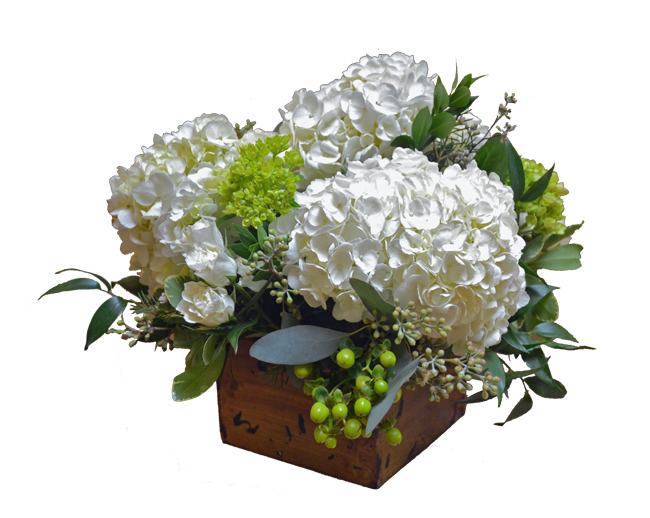 An elegant display of textural green and white hydrangeas along with lush foliage and hypericum berries arranged in a rustic wooden box. 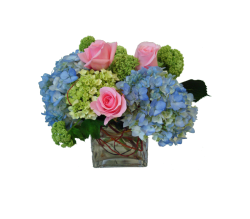 Danielson Flowers proudly serves the following Massachusetts communities: Shrewsbury, Auburn, Millbury, Northborough, Westborough, Grafton, Worcester, Holden, Hudson, Boylston, West Boylston, Marlborough, Southborough. 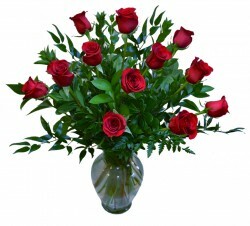 Don't see the area you're looking for? 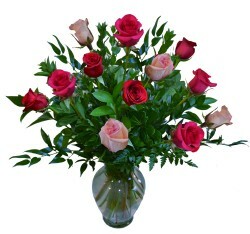 Please call our shop at (508) 842-8992. 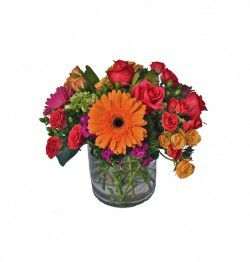 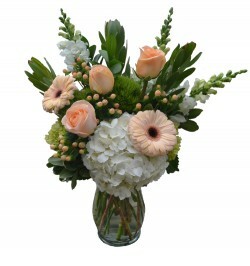 We can arrange a delivery anywhere in the world through our network of professional florists!